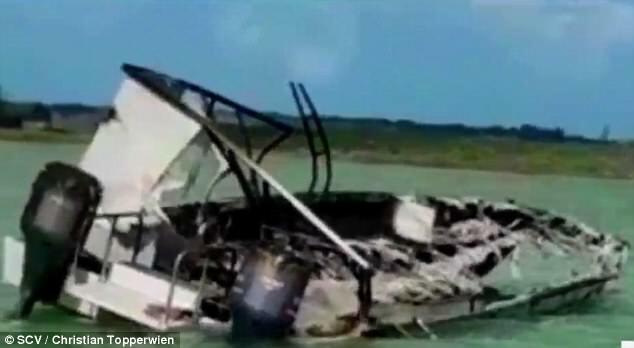 Shocking photos of burned out wreckage of Bahamas charter boat after explosion that killed one American woman and left nine tourists injured as new footage shows panic-stricken moments blood-drenched survivors were pulled to safety – Mario Tacher, P.A. By Mario Tacher on Jul 02 in Personal Injury Lawsuits. 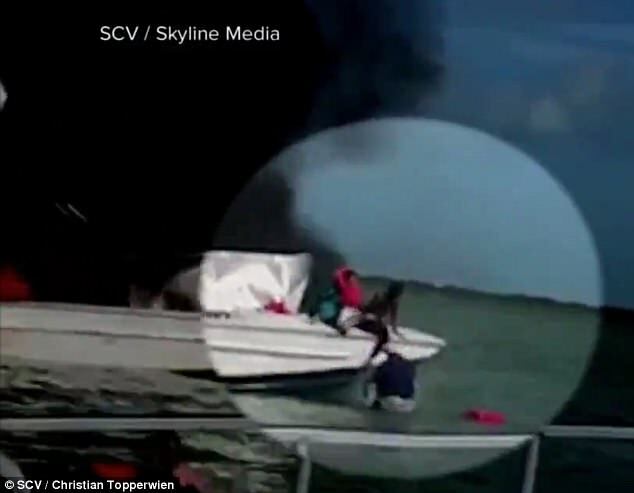 New video has surfaced showing the deadly tour boat explosion that killed one American and left another nine injured on Saturday in the Bahamas. 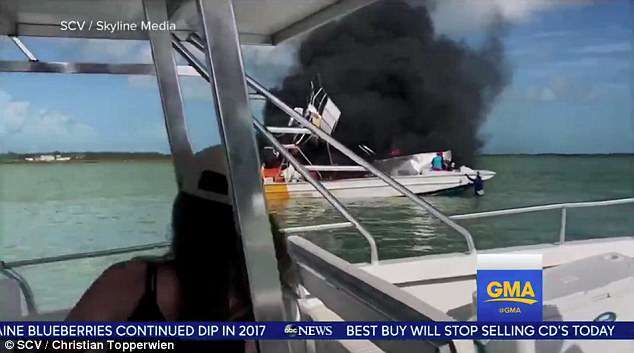 The video, taken by a witness on a nearby boat, shows thick black smoke billowing from the burning boat as people scream. 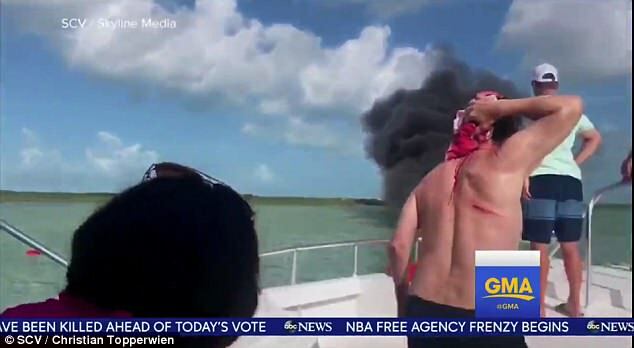 Two men are seen wading out to the boat to pull one of the victims from the burning vessel. One man who escapes the boat is seen bleeding and yelling for a doctor to help. One woman was killed in the blast but has not been named yet. The company that ran the trip, 4C’s Adventures, declined to comment on the explosion to DailyMail.com because they are under investigation. The explosion also left 22-year-old Stefanie Schaffer of Rutland, Vermont in a medically-induced coma, after she lost both of her legs in the fiery blast. She was one of 12 people on board, which included 10 Americans and two Bahamians. Stefanie was on a summer vacation with her teenage sister Brooke, mother Stacey, and stepfather Paul Bender. A family member told DailyMail.com that Stefanie and Stacey remain hospitalized in Nassau. Stefanie is currently too unstable to be flown back to the United States. She said Stacey shattered one of her legs in the explosion and suffered multiple broken bones and internal injuries. Brooke and Bender managed to both escape with only scratches and bruises. 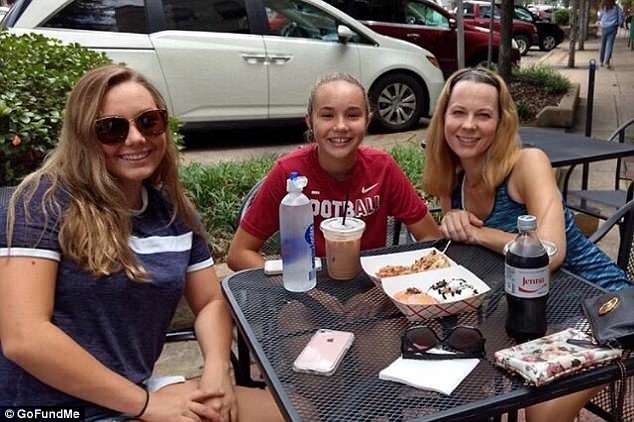 Among the others injured in the blast was teen Haiden Jones, his brother Kyle Ackerman, his mother Sheila Jones, and her boyfriend John Inman, Haiden’s father said on Facebook. 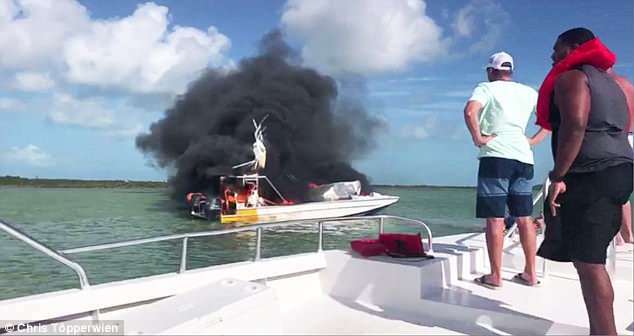 ‘Prayers needed my son Haiden was on vacation in the Bahamas with friends and family when their charter boat exploded and caught fire! My son Haiden his brother Kyle his Mother Sheila, boyfriend John, girlfriend Brooke and Paul are all ok just cuts and bruises. ‘Many prayers needed for Stacey Bender (Schaffer) Stephanie Schaffer last update Stacey and her daughter Stephanie still in the ICU,’ CJ Jones said. The relative said Stefanie is a ‘very outgoing’ dancer who recently graduated college. ‘The scary thing is Stefanie doesn’t know that she’s lost her legs, and that’s what really upsets me,’ she said. A GoFundMe campaign has since been launched by the family to raise money for Stefanie and Stacey’s medical expenses. The relative said she is hoping Stefanie will soon be stable enough to be flown back to Florida for further medical treatment. ‘Hang in there Stef I’m on my way,’ George John Schaffer, Stefanie’s brother, wrote on his Facebook Sunday night. Four of the injured Americans on the boat were immediately airlifted to a hospital in St Petersburg, Florida with the help of the US Coastguard after the explosion. It is not clear if the American woman was killed in the blast or if she died later from her injuries. Her name has not been released. The explosion sent flames and plumes of black smoke soaring into the air, as seen in a photograph taken by Instagram user Chris Topperwien. Several people on a nearby boat jumped into the water to help and dragged at least one person to safety. Exumas and Ragged Island MP Chester Cooper confirmed that a woman had died and that two people, both Americans, were in an ‘extremely critical condition’ in the Nassau hospital. It now appears that those two Americans are Stefanie and her mother. ‘This is a sad day for Exuma and a sad day for our American friends,’ Cooper said in a statement.